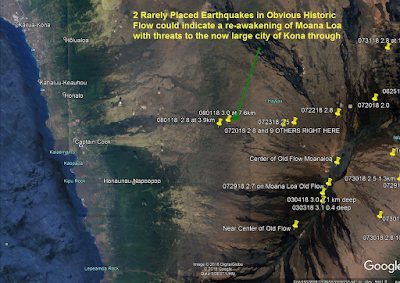 If my original hypothesis was correct, that we have a good chance of a large Moana Loa Eruption, and a Possible "Hilina Slump" event with possible 1000 Foot Tsunami. I have spoke to Geologists at the Waimea Canyon museum, who say they have rappeled into caves at 800' above sea level and found loads of shells and sand. This stuff does happen. Read earlier articles on this blog, RE Hilina Slump and other EQ news. I won't spell it all out for you here, and if I did, you probably couldn't digest it, like an unbaked Q drop. stabilize the land mass. Unless of course, the old slumps are liquified by earthquakes deep in the earth, as this one. These hit right in the slump remnants, destablizing the slump structure. 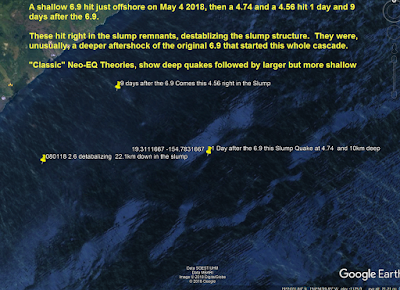 They were, unusually, a deeper aftershock of the original 6.9 that started this whole cascade. 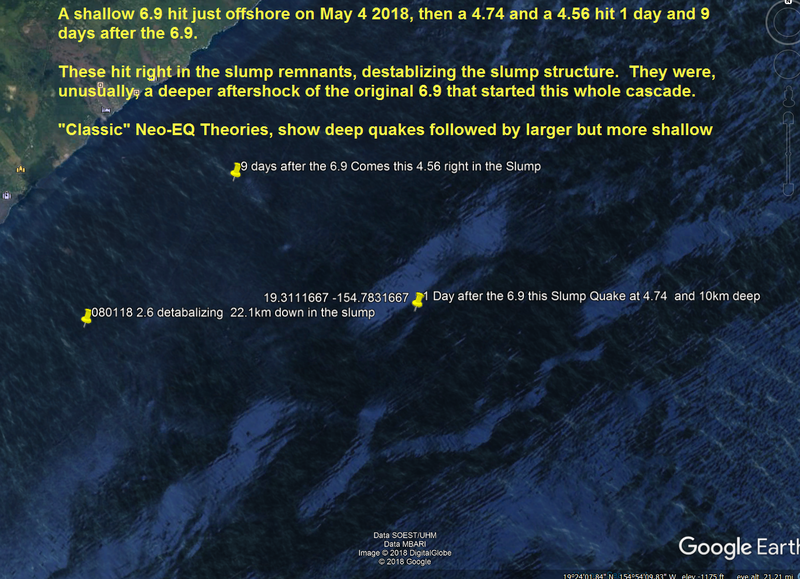 "Classic" Neo-EQ Theories, show deep quakes followed by larger but more shallow quakes. We are in uncharted territory. Getting a handle on how these Magma Chambers are situated and affect the Volcanos is a goal. I keep seeing the same image on "official" websites of what the chamber looks like, it looks so simple, so uniform that immediately my spidey sense goes up. 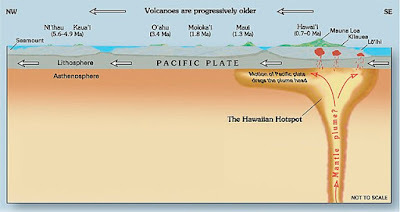 October 25, 2012 – HAWAII – The past decade of eruptions of Hawaii’s Kilauea volcano may have acted as a pressure-relief valve for neighboring Mauna Loa, according to a new model suggesting two of the planet’s biggest volcanoes connect deep underground. Scientists know each of the two Hawaiian volcanoes has its own plumbing —separate, shallow magma chambers. Such chambers are the source of Kilauea’s rising lava lake, which is threatening to spill over. But 50 miles (80 kilometers) down, in a part of the Earth’s mantle layer called the asthenosphere, Mauna Loa and Kilauea are dynamically coupled, said Helge Gonnermann, a professor at Rice University in Houston, who is the lead author of a new study showing the link. “It’s like groundwater in an aquifer or oil in an oil reservoir,” Gonnermann told OurAmazingPlanet. “We know that there is melt that extends beneath both volcanoes. 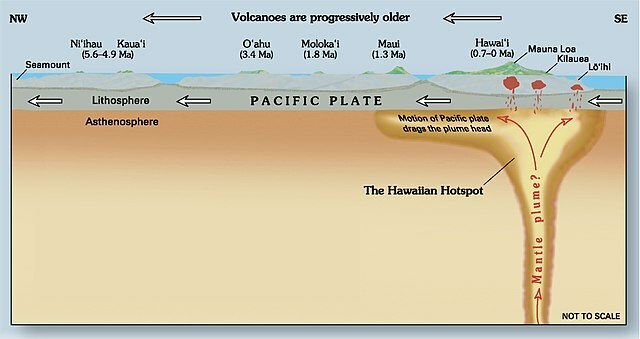 Changes in pressure can be transmitted to both volcanoes.” The Hawaiian Islands are hotspot volcanoes, formed as the Pacific plate moves over a plume of hot magma in the mantle. Pressure changes in the pooled magma in the mantle could rapidly affect both volcanoes, the model indicates. The model helps explains some intriguing observations: When one volcano inflates, the other starts to bulge about six months later. At times, such as in 2005, both volcanoes inflate at the same, GPS data show. The study suggests that Mauna Loa’s and Kilauea’s opposing pattern — when one is active, the other is quiet — occurs because eruptions at one volcano release pressure in the other. The model suggests Mauna Loa, which produced its most recent blast in 1984, had accumulated enough magma for another eruption, but its pressure was relieved by Kilauea’s heightened activity. “The hypothesis coming out of this model is that if we hadn’t seen this increased activity at Kilauea, then we would not have seen this pressure relief,” Gonnermann said. The summit of Kilauea has recently started inflating, giving the researchers a real-world test. “If Kilauea continues to inflate like it is right now, and if our model holds water, we should also see another period of inflation at Mauna Loa in about half a year,” Gonnermann said. The scientists also hope to test the model in other hotspot volcanoes, such as those of the Galapagos.